Need more calm and harmony in your family ? Try our popular mindfulness exercises for kids. Teaching mindfulness meditation is a great way for kids to develop focusing skills, resilience and well-being. Research indicates that mindfulness can help children improve their abilities to pay attention, to calm down when they are upset and to make better decisions. The experience from our users of Mindfulness for children is that learning mindfulness from the exercises help reduce stress, anxiety and even calm the symptoms of ADHD. ◉ This App provides guided meditation for kids. ◉ With step by step easy to follow audio instructions on how to meditate. 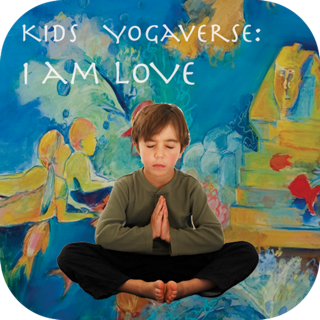 ◉ A great tool for teaching mindfulness meditation to children. Mindfulness for Children provides relaxing sounds of nature to help children calm down and improve focus/concentration. A calm, reassuring voice gives step by step audio instructions on how to meditate. With descriptions and terms aimed at children, users are taken through body scans, visualizations and breathing exercises. The meditations is developed by Pia Holgersen, Psychomotor Therapist with expertise in relaxation technique, and the App is originally created in Denmark. Schools in Denmark use these meditations with great success and Mindfulness for Children is recommended by several danish child psychologists. Mindfulness for Children will help children to relax and will enhance feelings of contentment. It can be used for a general relaxation, or as a teaching resource and is suitable for children from the age of five and up. ◉ Four deeply relaxing guided meditations between 4 and 16 minutes long: "Inner place", "Connecting your breathing, body, thoughts and feelings", "Body scan" and "Finding peace". ◉ Guided goodnight and sleep meditation for kids - 24 minutes long. This bedtime meditation comes in four different versions. 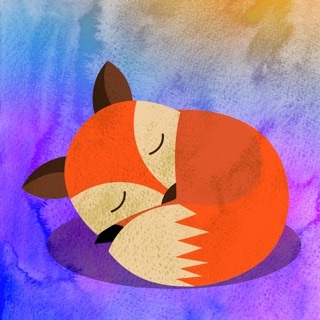 ◉ Hand-picked high-quality sounds of nature for relaxing, falling asleep, and staying asleep. ◉ All audio's feature high quality professional recording techniques. ◉ Perry Anne Norton's beautiful calm reassuring voice guiding you and your child into a completely relaxed state of mind & body. Do you want more presence and harmony in your children and classroom ? 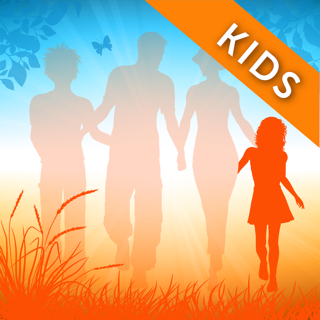 Download Mindfulness for Children Today!!! We have made a new update for you ! Really wanted to teach my 11 year old how to calm his mind at night time and fall asleep a little easier. This is a really helpful app that we've done a few times now and definitely is helping him to switch off his mind. Thumbs up! Thank you so much. What a lovely review to have here on AppStore. Have a nice day.❤️ Jannik & Pia. Very helpful for calming the mind! For some children, like my 11-yr-old son, it's hard to not get distracted, to be able to focus easily and to calm the mind when it's time to relax. Meditation is very useful to get these skills as habits. I think this app will help him to get there. Hi, Thank you so much for your review, We are so happy to hear this. Have a nice day. Warm regards Jannik & Pia. I use this app with my 12 year old who has a hard time falling asleep. It has never failed us as he is asleep within 10 minutes of starting. It brings relaxation to his body and most importantly, his mind.